While Sweden may not have invented the sort of intelligent, emotionally charged pop Robyn, Lykke Li, Icona Pop, and others have been doing so well in recent years, they’ve certainly come to dominate the genre. So, if you’re a fan of Scandinavian singers, or just smartly executed pop in general, Niki and the Dove should have an easy place slipping into your music library alongside their country folk. 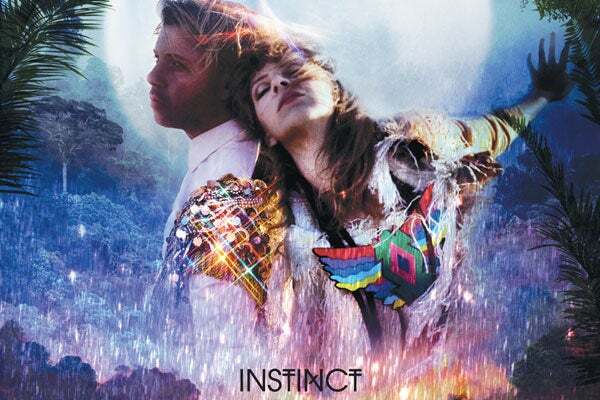 Niki and the Dove's new album Instinct is a combination of big hooks and heartfelt sentiment. To call lyrics “lyrical” may seem redundant, but for opening track, “Tomorrow,” it’s the right descriptor. There’s poetry in lines like “If tomorrow comes / I wanna waste my love on you like a pearl merchant,” which singer Malin Dahlström delivers as if her (love) life were on the line. Elsewhere, Gustaf Karlöf’s synths range from pounding electro to the minimal island riddims of “Mother Protect.” Instinct is the best sort of pop — cinematic, lovelorn, and never pandering.